But because I'm sure this is the real reason you came to this post the two polish deals going on at the moment! 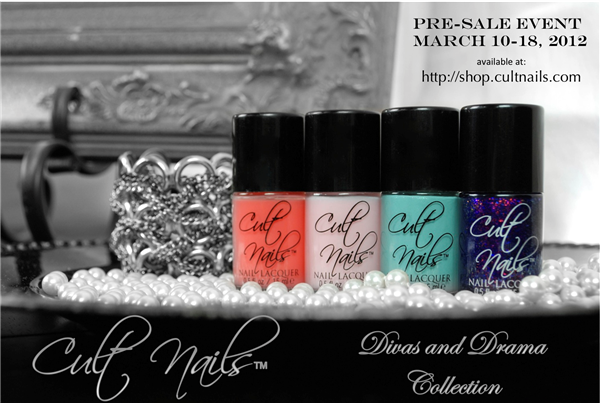 Cult Nails Divas and Drama Collection is live, and you can buy Captivate too. When you buy the collection you basically get one polish for free as it's only $30 USD. There shipping is very reasonable too- by far one of my favourite polish brands. Plus they have international shipping. To read more about the colour descriptions and swatches of the collection check out Maria's blog- she's the one that makes all the colours! Hope everyone is doing well, till next time!